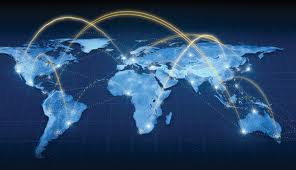 In an ideal world a big trade deal would be global. This is because gains such as dismantling trade barriers for all is much better than lowering them on a regional basis. But since the Doha round of multilateral trade talks collapsed in 2008, in its place have sprung up three possible regional deals to be done. The first two are of great significance for the future of global trade. The third is of lesser significance. The Tran-Pacific Partnership (TPP) was launched in June 2005 between 11 Pacific countries, it includes the US, México, Canada, Chile, Perú, Singapore, Malaysia, Brunei, New Zealand and Australia. It is currently into its 16th round of negotiations and the approximate value of trade is around $US1.492bn. Japan and South Korea are not involved in these negotiations as yet but if they were to join the TPP countries would account for around 30pc of global trade in goods and services. Interestingly, the TPP has aspirations to do much more than cut tariffs. Its goal is to develop a far bigger joint rule book, from regulation to competition policy. One study estimated that a deal could raise the region's GDP by more than 1pc. To compete with the TPP is another regional trade agreement the Regional Comprehensive Economic Partnership (RCEC) that has just been launched in 2012, it includes the 10 ASEAN countries plus China, Japan, India, South Korea, New Zealand and Australia. This deal represents an approximate value of trade around $US1,412bn even without the US' involvement. Hence there are two competing Pacific regional deals to be done: One with China plus Pacific countries and one between Américas countries (US + Canada, México etc) and Asian countries. The risk here is that both these deals could split the world into competing regional blocks where each country would need to decide who the more important business partner is: China or the US. But this could be avoided by making sure that both deals are easily knitted together and easily opened to others by basing the deal on a similar template, avoiding unnecessarily restrictive prescriptions and by creating a set of rules that both China and the US can embrace. Finally, there is a third smaller agreement on the horizon that is being pushed hard by Europe, called the Transatlantic Trade and Investment Partnership (TTIP) between the US and the EU. It was announced in February 2013 but it has not been formally launched. It's estimated value of trade would be less than half of the other two Pacific deals estimated at around $US618bn. It is not entirely clear what the purpose of this deal would be as the US is already engaged in the TPP negotiations. It would appear that Europe is slightly displaced in the 21st Century and is seeking to counter the Pacific regional deals with an Atlantic deal but this sounds rather like wanting to turn the clock back to the 20th century rather than looking forward to the realities of the 21st century. But the fundamental strain on the multilateral system is the shifting economic balance of power. Emerging markets came into their own early in the Doha round that started in 2001, by rejecting the unappealing offers from the US and Europe. In fact the BRICS have become much more active over the last decade so much so that China's new President Xi Jin Ping习近平 announced that as part of his first foreign trips abroad he would be attending the fifth BRICS Summit on March 26-27 in Durban, South Africa after visiting Russia, Tanzania, and the Republic of Congo. This re-enforced the importance that China is attributing to its relationship with fellow BRIC countries, placing it on on a similar par to its strategic relationships with Russia and Africa. The main outcome of the BRICS' Leader's Summit was to endorse plans to create a joint foreign exchange reserves pool. This proposal underscores frustrations among the emerging market economies at having to rely on the World Bank and the International Monetary Fund which are seen as reflecting the interests of the US and Europe. The UN Development Programme Report 2013 highlights this point and suggests that emerging economies need their own institutions to support their growth. The Report goes so far as to say that 20th century institutions do not meet the teutonic changes taking place in the so called "South" in the 21st century. Freer trade and open markets is how the world has always grown and become richer and more developed from ancient times, therefore in the 21st century with the lions' share of growth of middle classes in the emerging world, it is a no brainer for the US and Europe to break down barriers to enhance trade with the emerging economies of the world. In fact the tables have turned and the US and Europe, for the first time in a while, now need the emerging economies as much as the emerging economies once depended on the US and Europe.